The Florida Review & Travel Guide brings you the latest Florida news with details of special offers like discounted vacation packages, theme park tickets and other great offers from the best of Florida's resorts and attractions. The D23 Expo 2017 in July 2017 gave Disney the opportunity to announce a host of new attractions and changes at the Walt Disney World Resort amongst others. Many are yet to have firm opening dates but it is expected that most will be in place by October 1, 2021 which is the 50th anniversary of Walt Disney World. Some are happening in the next couple of weeks and there have been several new announcements after D23 ended. The Experimental Aircraft Association (EAA) often bring one of their beautifully restored 1920’s Ford Tri-Motor airliners and/or their 1944 Boeing B–17G Flying Fortress to a number of Florida airfields as part of their EAA Ford Tri-Motor or EAA B–17 Aluminium Overcast Tours. Two other warbird organisations regularly arrange tours of Florida during the Spring months; namely the Collings Foundation with their Wings of Freedom Tour and the Commemorative Air Force (CAF) with their [AirPower History Tour] though the CAF have not come to Florida in the last couple of years. For the 2018 tour, the EAA toured with their 1928 Liberty Ford 5-AT-B in the colours of Transcontinental Air Transport. In 2017 they used their other Tri-Motor, the 1929 Ford 4-AT-E Tri-Motor “The Tin Goose" airliner. The B–17G Flying Fortress did not visit Florida in 2017 or 2018. In April 2016, Disney held a three day media event, “Awaken Summer”, to release further details about all the new attractions coming to Walt Disney World over the coming months. In June, the new live stage show “Mickey’s Royal Friendship Faire” opens on the Cinderella Castle Forecourt Stage. The stage show brings together amazing costumes, singing, dancing and special effects. A new $750 million vacation resort called Margaritaville Resort Orlando is being built along US 192 close to the junction with State Road 429, on the site of the former Splendid China attraction which closed in 2003. Originally the resort was expected to open in phases starting in early 2017 but it will be early 2018 before the first phase opens. The whole project is expected to be completed by 2022. In July 2017 construction officially broke ground on the new Margaritaville Hotel Kissimmee and it will open around Thanksgiving 2018. The Sun ’n Fun International Expo and Fly In at Lakeland Linder Regional Airport is the biggest aviation event in Florida. 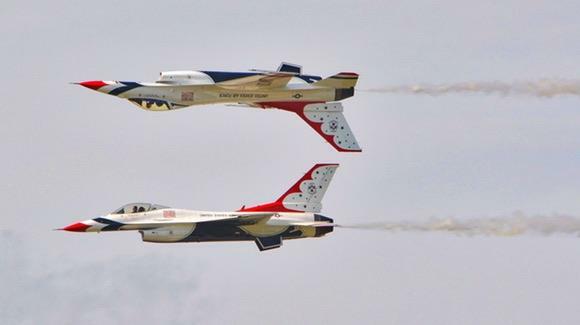 In fact it is the second largest event of its kind in the world with around 200,000 visitors, exceeded only by the Experimental Aircraft Association AirVenture event at Oshkosh, Wisconsin. It runs over six days in March/April each year finishing on a Sunday. The event first started in 1975 and the 45th annual Sun ’n Fun will take place from April 2 to 7, 2019. The dates for 2020 are April 4 to 5. On May 7, 2015, the Japanese video game company, Nintendo and Universal Parks and Resorts signed an exclusive agreement to bring Nintendo games and worlds to life in Universal parks around the world. Nintendo has created many household name games including Pokemon, Super Mario Brothers, Donkey Kong and Zelda. Can you just imagine an interactive real-life Mario Kart racing ride? In the past, Universal has created haunted house attractions based upon video games as part of their Halloween Horror Nights; e.g. Resident Evil and Silent Hill. In February 2015, a company called Xero Gravity Action Sports LLC announced plans to build a $309 million Action Sports & Entertainment Resort in Kissimmee on a 75 acre site owned by Central Florida Investments, near the intersection of U.S. Highway 192 and State Road 535. The resort would bring together four of the most popular actions sports, namely surfing, skateboarding, snowboarding/skiing and BMX biking. It was aimed at all action sports fans with year round professional and amateur competitions, some of which will be televised. The Experimental Aircraft Association (EAA) occasionally bring their beautifully restored 1944 Boeing B–17G Flying Fortress to a number of Florida airfields as part of their B–17 Aluminium Overcast Tour. They also tour with a Ford Tri-Motor either on its own or accompanying the B–17. Two other warbird organisations regularly arrange tours of Florida during the Spring months; namely the Collings Foundation with their Wings of Freedom Tour and the Commemorative Air Force (CAF) with their [AirPower History Tour]. The last time the EAA toured with the B–17 named “Aluminium Overcast” was in 2015 and it was accompanied at a couple of venues by a 1920s Ford Tri-Motor “Tin Goose” airliner. The Daytona 500 is the jewel in the crown of NASCAR racing and one of the biggest racing events at the Daytona International Speedway alongside the Rolex 24 at Daytona and concludes the Daytona Sprint Unlimited and Daytona Budweiser Speedweeks event. SeaWorld’s Praise Wave Christian Music Festival is included in the standard admission and for 2018 it originally ran on four consecutive Saturdays, January 20, 27, February 3 and 10. SeaWorld subsequently extended the festival by including two additional Sunday concerts and extending the festival by one day to February 11. In August they announced that they would run two additional Praise Wave dates on September 15 and 22.